Pembroke Pines is the second most populated city in Broward County and the 11th most populous in the state of Florida, according to a 2014 U.S. Census report. 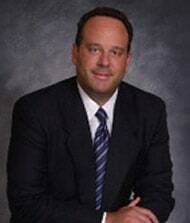 With more than two decades of experience, the personal injury lawyers at The Law Offices of Joseph Lipsky, P.A. have represented personal injury victims in Pembroke Pines and other South Florida communities. We understand how challenging a personal injury accident can be not just physically but emotionally, but psychologically and financially as well. The defendant’s breach was the actual and legal cause of the injury that resulted in damages. Assigning fault can be one of the most challenging, yet important factors after a personal injury has occurred. This is because fault determines how much can be recovered in damages and who is liable to pay these damages to the victim. While the standard of negligence varies by state, Florida operates under a pure comparative negligence theory. This means a victim’s monetary compensation will be reduced by the percentage of fault the victim is found to be by a judge or jury. The policy rationale behind the comparative negligence doctrine is because the causes of accidents are not always clear cut and, therefore, it is only fair that each responsible party shoulders his or her part of the blame. A Pembroke Pines personal injury victims may seek economic and noneconomic damages for injuries suffered, depending on the extent of the harm sustained. Economic damages are based on relatively objective costs and may include past, present, and future medical expenses, property damage, and lost wages. Noneconomic damages, on the other hand, may include emotional distress as well as pain and suffering. An award for monetary compensation may come by way of installment payments over time or in the form of a one-time lump-sum payment. According to Florida law, a victim of a personal injury accident has four years from the date of the injuries to file a lawsuit in court for damages. This time frame is commonly referred to as the “statute of limitations.” If a loved one has been killed as a result of the negligence of another, you may be able to file a wrongful death claim. While these cases are complex, they often allow surviving members of the deceased to seek damages for expenses incurred as a result of the loss. This may include economic damages such as funeral expenses and medical costs, or noneconomic damages including pain and suffering of your loved one before his or her death. In Florida the statute of limitations for wrongful death claims is two years from the date of death. An injured victim, or surviving family member, who fails to file a lawsuit within Florida’s applicable statute of limitations may never be able to recover compensation. For this reason, it is important to speak with a knowledgeable Pembroke Pines personal injury attorney right away if you or someone you know has been hurt in an accident in order to protect your rights under the law. At The Law Office of Joseph Lipsky, P.A., our Pembroke Pines personal injury attorneys have helped hundreds of injured victims in South Florida and beyond receive the monetary compensation they deserve for injuries suffered due to the fault of another. To learn more about your rights and obligations under the law, contact 954-693-0073 today. One of our personal injury attorneys will evaluate whether or not you have a personal injury claim and help guide you through the next steps available to you to assert your rights.